The ginger made me do it. 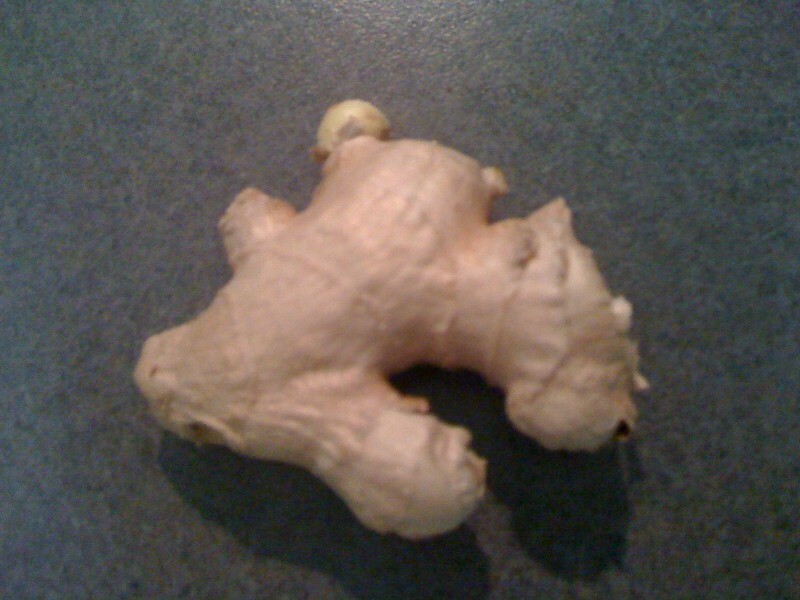 It's been something I have wanted to tackle for months now, the cooking with an actual ginger root. I have even gone so far as purchasing on two seperate occasions this ginger, only to let it shrivel up in a slow painful demise on the counter. The look of ginger reminds me of a drawing Dr. Seuss might have conjured up or perhaps something that I felt was protruding from my epidermus before a very important date. As I peeled it back and chopped it to bits, I took a couple nice tastes. It's pungent flavor seems like it could defend itself against very bad things looming in a persons body. I actully looked it up and found the word volatile being associated with it. That being said I probably added a small bouncy ball sized piece to my boiling pot of goodness. Whoops!! Its best stored in the fridge all by its self! No containers or bags needed!